You must make reservations at least 5 minutes in advance of the time at Burlingame. Featuring made-from-scratch, fresh, seasonal dishes and craft cocktails, Burlingame creates an enticing dining experience. We realize that dining out is about more than just the food on the plate and drink in the glass. The total guest experience should be delightful. Here you can laugh with friends, visit with family or have an intimate dinner for two and our wait staff will work to ensure your experience is beyond your expectations. Our staff will be there when you need them but tonight is about your party not about us. If we do our job right you won’t even notice us. We want your experience to be exceptional, and that’s why the guest experience is our focus. 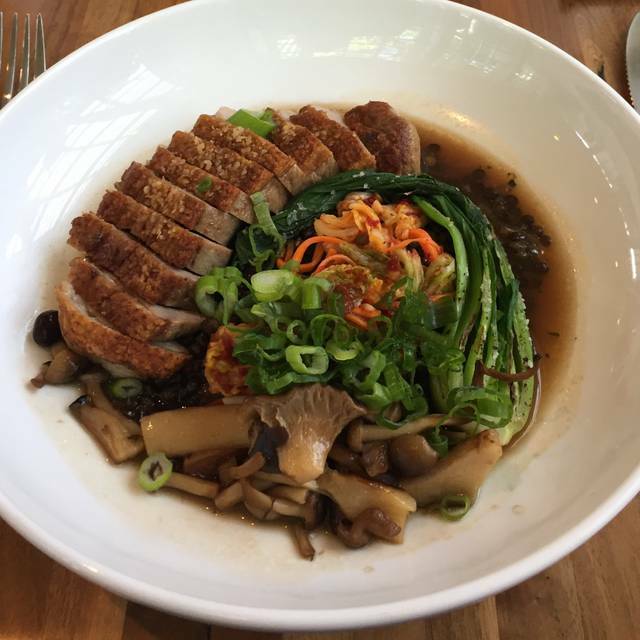 Mon - Sat Dinner from 5:30pm We will be open for dinner Easter Sunday (with a special Duck 2-Ways - confit and seared breast 2-course combo), plus Mother's Day and the Sunday of Memorial Day weekend. Our dishes are carefully composed and made-from-scratch with the freshest ingredients. Come and surrender to the Chef for a special dining experience. Save on house wines, classic cocktails, draft beers, oysters, cheese & charcuterie platters and assorted appetizers. Great Food and Service! They made our special occasion even more special. We will definitely be back. I have not been a fan (of the menu) in the past but this time I ordered two appetizers as my dinner and they were both very good: The Tagiatelle Bolognese with lamb and the special - scallop with pork belly (cooked in duck fat). Was not a fan of the lemon pie. Our server was very pleasant and recalled one member of the party from his last visit. We ate in a smaller room where they seemed to seat several other parties at the same time. Would have been nice if they had spread them out throughout the restaurant instead of clustering us all together. Overall, better experience than I have had in the past. Love the service, presentation and food. The pace was perfect and the quietness was appreciated. Really, really enjoyed. I had the shrimp and grits and it was terrific. One of the best items on the menu was the appetizer of brussels sprouts in a bacon vinaigrette. oh my! Also, perhaps the BEST pecan pie I have ever eaten. Personal attention to service and food. Could not be better. Highly recommend this special restaurant as you will not find and better place. We love Burlingame. Whatever you do, get the fried Brussel sprout appetizer. So so so delicious!!! 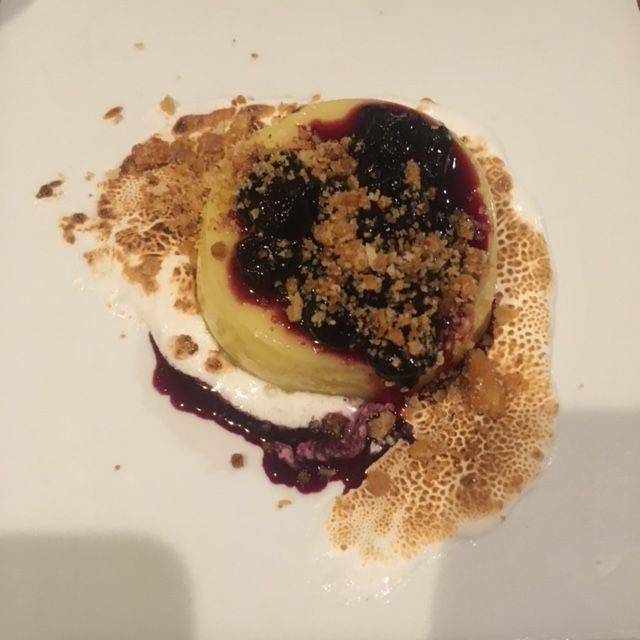 I never give 5 star ratings, but our experience at Burlingame was such a delight! We sat in the covered porch, sampled oysters, charcuterie, and lovely wine. Our server was just the right amount of friendly, professional and unobtrusive. Dinner included pasta, salmon and the scallops. Everyone was satisfied. Perhaps our experience was an interesting contrast to our dinner the previous evening at another AI white tablecloth restaurant, where we experience a surly server and ridiculously small pour of wine. 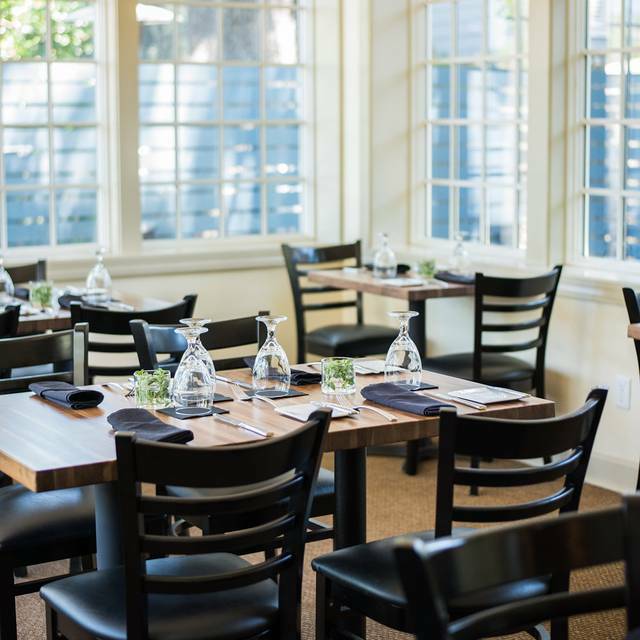 Burlingame is a lovely place to dine and relax! The service was exceptional. The outside dining on the patio was enjoyable. I had the porchetta which was amazing. My husband had the red snapper. We both were pleases with our choices. 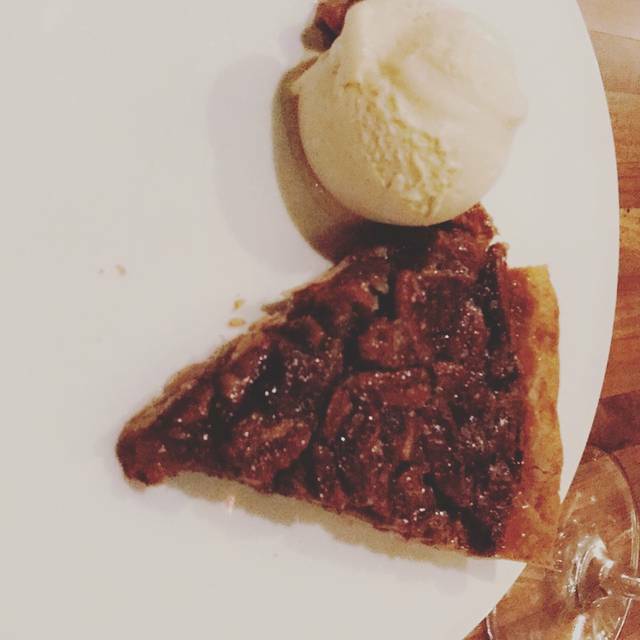 The pecan pie with brown butter ice cream is a must have. We will be back soon. Excellent food! The best pecan pie and brown butter ice cream ever!! Warm and inviting atmosphere. Menu had just enough variety to create the type of meal we wanted. For a resort area, the prices were very reasonable too. Service was friendly and informative and we very much enjoyed our Porchetta and Scallops entrees. My wife and I have eaten at restaurants around the world - Michelin stars, etc. We both feel that this was the best, EVER!! WE give it a 11 out of 10. Elevated Coastal/Florida classic dishes. Try the smoked fish dip made with red snapper! Exquisite hospitality, including greeting by owner and executive chef, provided a warm welcome on a blustery night. Enjoyed best shrimp and grits ever! My husband raves still about the oysters as his appetizer. 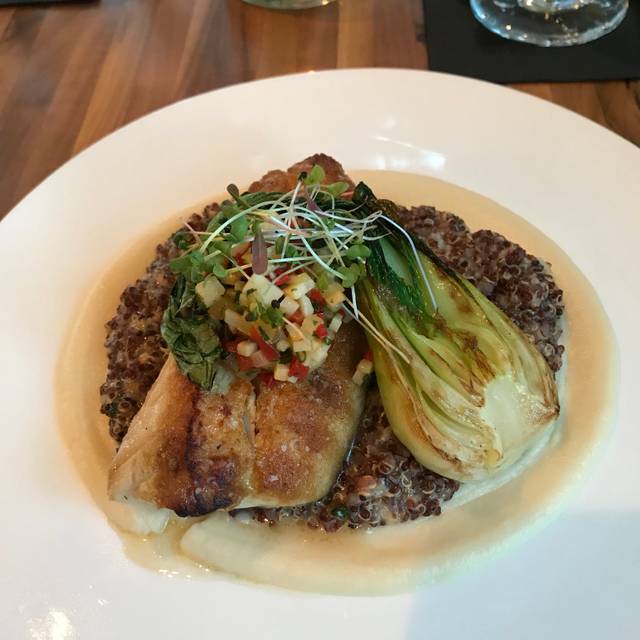 Will hope to dine again at Burlingame when next on Amelia Island. If you appreciate really great food, go to this restaurant! This is #1 of my top 5. The food is delicious, imaginative, original & beautifully presented. A+ appetizers, A+ entrees, A+ Drinks, A+ desserts, A+ Service, A+ decor. Honestly, I'd eat here every night if I could. The absolute best food abd service on the island! Wonderful venue with a great menu. The food was amazing. This was one of the best meals I have ever enjoyed in a restaurant. The ambiance, service, and food were all outstanding. Enjoyed it very much. Was surprised that it was not more crowded. Went there with friends for my birthday. Not only was the food outstanding, so was the service. They asked whose birthday we were celebrating and at the end of the dinner presented me with a card from the staff. Nice homey atmosphere, not too large. Great menu and delicious food! Excellent service. Enjoyed talking to the owners. Superb service from the warm greeting at the door through the excellent table service to the equally warm good-bye from the owner. Food was the best we had during our week in Fernandina Beach, and we ate at highly regarded restaurants every night. Cocktails were imaginative and tasty, and the wine and beer were top-shelf. I highly recommend the place. A truly incredible dining experience! We've been to Burlingame many times since it's opening we all tasted each others meals, which is something (some of us) NEVER do! The flavors & ingredients that were incorporated into each dish are so clever & tasty, that they can't be accurately described. For appetizers we had the smoked fish dip, the salmon tartare, oysters,& the pork belly/scallop, for entrees we had the salmon , shrimp & grits, scallops, and the snapper. From the bread, drinks & wine, all the way through to the desserts, we were in heaven. This place just gets better & better each time we dine here! If you know food, you will not be disappointed! The restaurant has a comfortable family run kind of atmosphere. The hostess and staff are friendly , skilled and very professional. We have dined there several times and found each entree to excellent in quality and preparation. Menu items are a little pricey, but the overall experience and food is well worth the evening out; whether it be for a romantic dinner or sharing with many friends. Let me start with the positive. The service was excellent...probably the best service I have experienced in quite some time. The ambiance was very pleasant (both inside and outside seating) and actually more appealing than the photos on their website depicted. The downside was the very pricey and mediocre menu. I felt it was very expensive! I would not recommend it if you are looking for a very good meal at a reasonable price. There are too many other restaurant options that offer both. We sat outside and it was beautiful! I loved the selection and presentation of the Charcuterie. My filet was cook perfectly, medium rare. 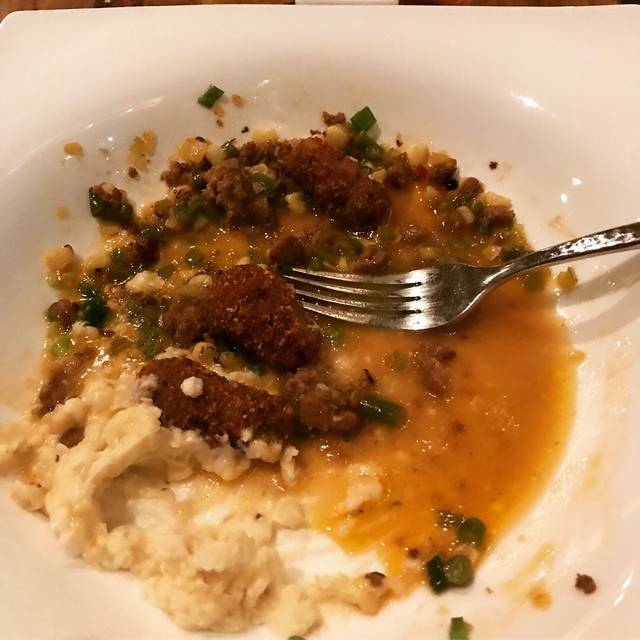 My husband ordered the Shrimp & Grits and he was surprised by the unique and complementary flavors. He also enjoyed his old fashion and I ordered a cocktail and a couple glasses of wine. Lovely meal. We’ve been making this a regular stop during the Concourse weekend every year, you can’t go wrong, great food, wine selections, and service second to none! 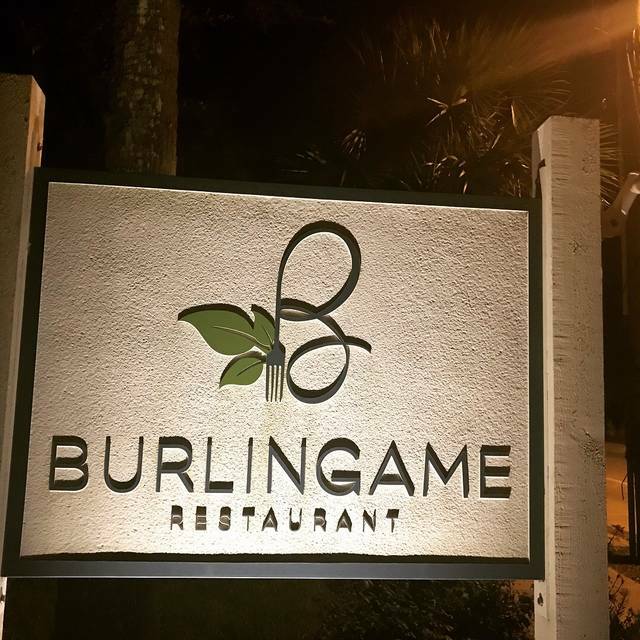 Burlingame is quickly becoming our "go to" restaurant on Amelia Island. 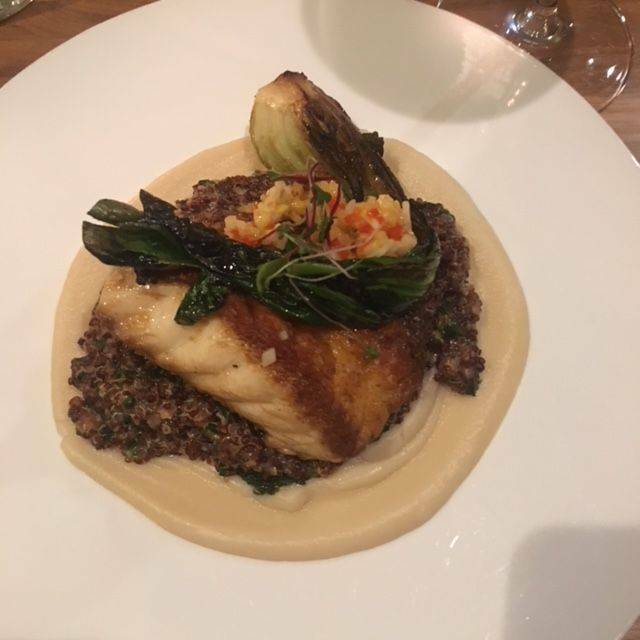 The quality of the food with local sourcing and great service makes Burlingame a fabric of the Island. Another excellent meal at Burlingame. We have been big fans since they opened three years ago. Two of us had the scallops - excellent, two had the crispy Salmon and we ordered two orders of the tagliatelle. Friendly staff, great meal, nice atmosphere! This was a wonderful dinner!!!!! We will definitely be back! 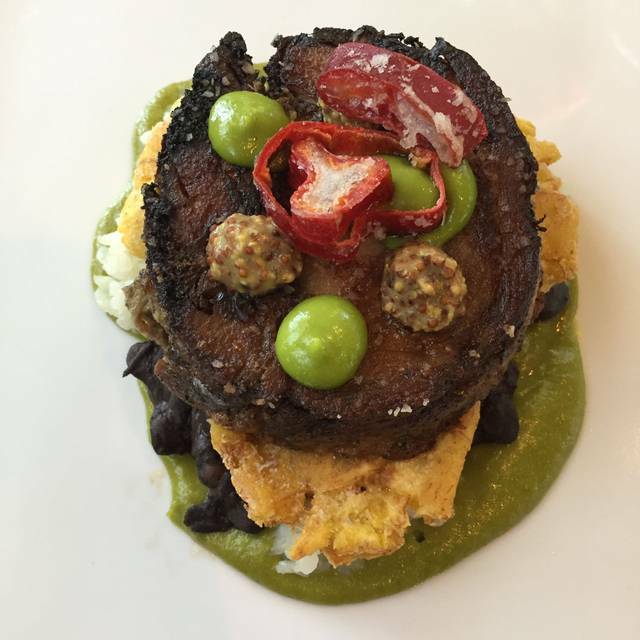 We have dined a Burlingame numerous times and thoroughly enjoy the experience time after time. The cuisine is outstanding, everyone in our group loved their selections. This visit I noticed some formidable growth to their wine list, I like Napa Cabs in the 95+ points range. The team provided excellent service and took outstanding care of our group. Can't say enough about this dining gem except go eat there..... Its great. We stumbled upon Brlingame and were welcomed inside. The resturaunt is tastefully furnished and the staff attentive and friendly without over-doing it. The food is clearly prepared by professionals who know their trade. These folks are doing it right. A nice discovery worthy of return.